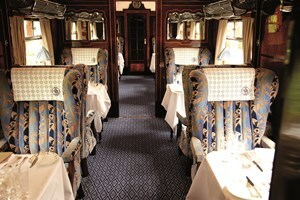 Relive the luxury and sophistication of yesteryear aboard the extravagant Northern Belle, part of the exquisite Venice Simplon-Orient-Express line, for a day excursion like no other. Step aboard and be greeted by your immaculately dressed steward who will show you to your seat and serve you a delicious brunch, complete with Bellini. Recline and enjoy the fabulous scenery as you head to your destination, where a city tour or admission to the attraction is included. 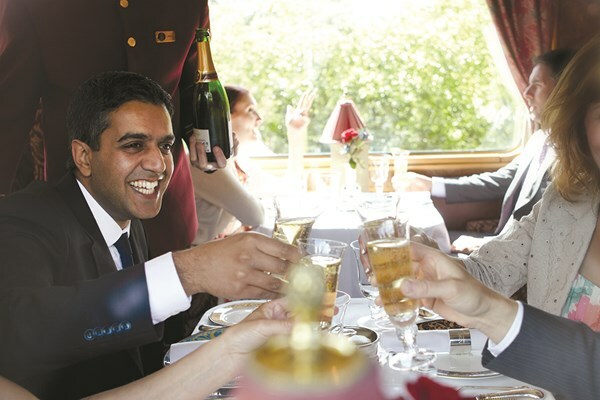 Once you are back aboard from your day exploring one of the many available destinations, you will once again be transported back in time to the golden age of luxury travel as you are served a scrumptious four course meal. Half a bottle of wine and a glass of Champagne each will be served to help wash down your meal as you arrive back home with memories to last you a life time. There is a smart casual dress code, with jeans and trainers not permitted, however, why not dress up, it is Northern Belle after all! 7 out of 7 (100%) reviewers would recommend this product to a friend.